PERVERT TAKING PHOTO AT SIM FEMALE TOILET!!!! You are at:Home»Caught In The Act»PERVERT TAKING PHOTO AT SIM FEMALE TOILET!!!! 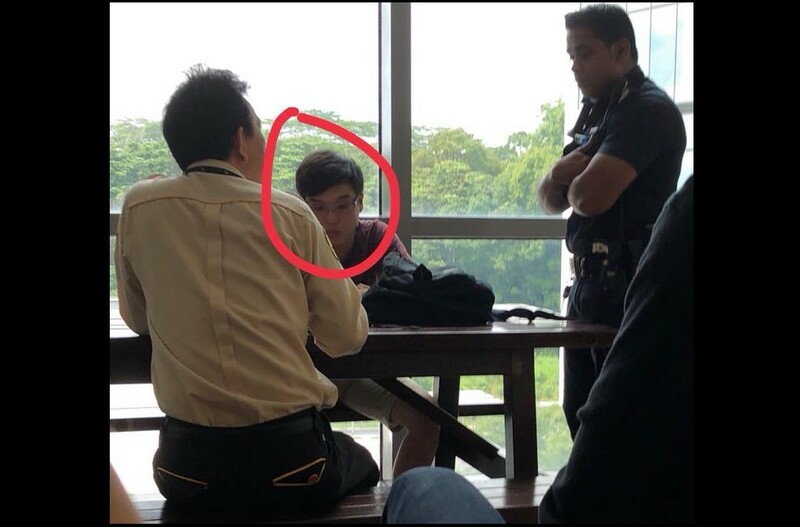 To all female students in SIM and everywhere else, PLEASE BEWARE of this guy if you ever see him in school especially when he is roaming around the toilet. While I was in the cubicle doing my business, I felt something above and when I turned to look, I saw a phone over the edge. I immediately left the cubicle and pretended that I had left the toilet while I was actually waiting for him outside with my friend that I texted to come over immediately. he took a while to come out and pretended to flush the toilet twice lol. when he came out, we questioned why was he in the female toilet and he said he had a stomach ache and went into the wrong toilet ACCIDENTALLY. Police said that this was NOT HIS FIRST OFFENCE. SO, PLEASE BEWARE WHEN GOING TO THE TOILET ALONE IN SIM (or anywhere in the public), AND BEWARE OF DISGUSTING PERVERTS LIKE HIM. Next Article M’SIA AUTOMATED CLEARANCE ALWAYS DOWN. PAY $35 FOR WHAT?